We are deeply saddened that our beloved father passed away today. He was a great scientist and an extraordinary man whose work and legacy will live on for many years, His courage and persistence with his brilliance and humour inspired people across the world. He once said: ‘It would not be much of a universe if it wasn’t home to the people you love’. We will miss him for ever. 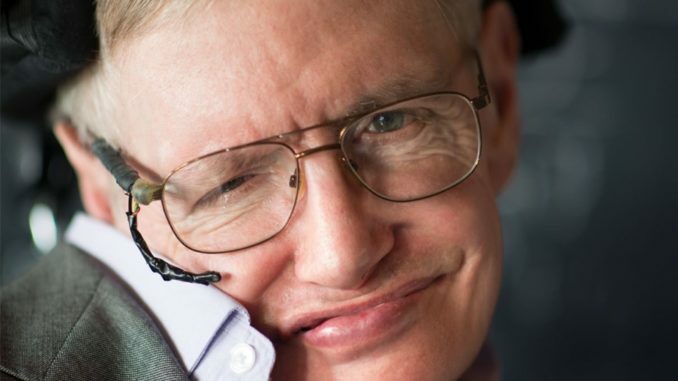 Professor Hawking’s amazing intellect led to his momentous contributions and breakthroughs in the field of cosmology: around the understanding of the big bang theory, black holes and the theory of their evolution into Hawking radiation. For us he will hold a special memory as a generous and committed supporter for the NHS as a public service. He took part in the exceptional day of debate ‘Talk NHS’ and presented the keynote speech at the end of the day. He championed the democratic nature of the NHS as a public service and was critical of government policies under-resourcing the NHS and moving it towards privatisation – he was deeply critical of accountable care organisations. Please watch his contribution. In the run up to that day and subsequently, Secretary of State for Health & Social Care, Jeremy Hunt took it on himself to cast doubt on Hawking’s integrity and his ability to comprehend the facts about the NHS. Hunt was ridiculed in the press and media and added to the widespread belief that it is his own integrity that is in doubt. Read our report of that encounter here. In December, Professor Hawking became the fifth complainant in a judicial review challenging Jeremy Hunt and NHS England on the legality of the insistent moves towards the imposition of accountable care organisations, management of which would be awarded by competitive tender. The JR will be heard in May but has already pressed concessions from Hunt, in forcing him to allow a public consultation on the ACOs and the contracting arrangement, and to postpone the laying down of statutory (secondary) legislation to avoid primary legislation required to bypass the impact of the law of the land as it stands at present – the Health & Social Care Act 2012. After 50 years of living with disability, Professor Hawking has shown the immense value of human courage in combination with a national health service which, despite the drawbacks of underfunding and undermining, has always put the care of the individual above the motive of profit. We thank Professor Hawking from the bottom of our campaigning hearts. He has gone but will never be forgotten. His wonderful scientific achievements will live on alongside the memory of his generosity of public spirit and his smile that accompanied it.